I will admit to not having entirely fond memories of rice pudding as a kid. Not that I have any particularly bad memories of it… but, I mean… it’s rice! What kid wants to eat rice for dessert? Mmm… yeah, it’s really nice mum! 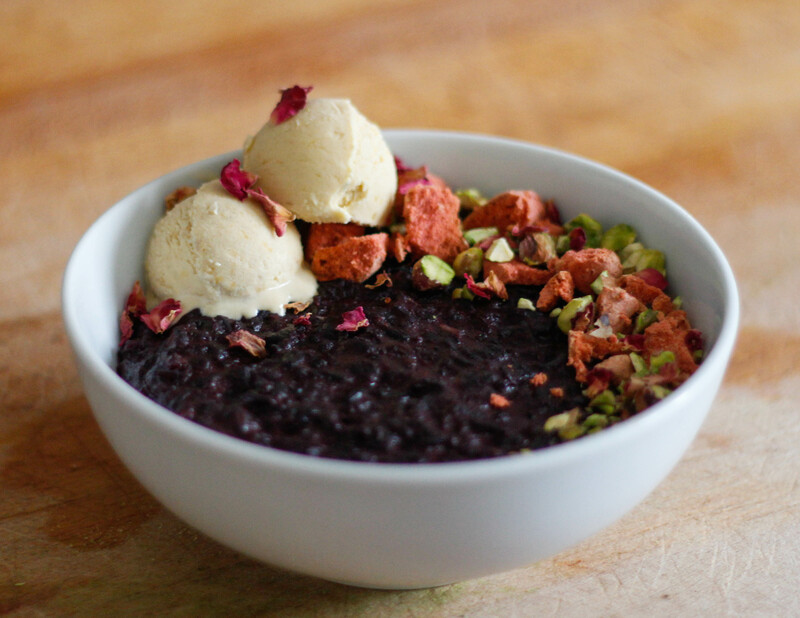 Umm… no mum, I don’t want rice pudding again. Can you make some brownies? (Honestly, if your mum made brownies like mine does, you probably wouldn’t want to eat anything else ever again). 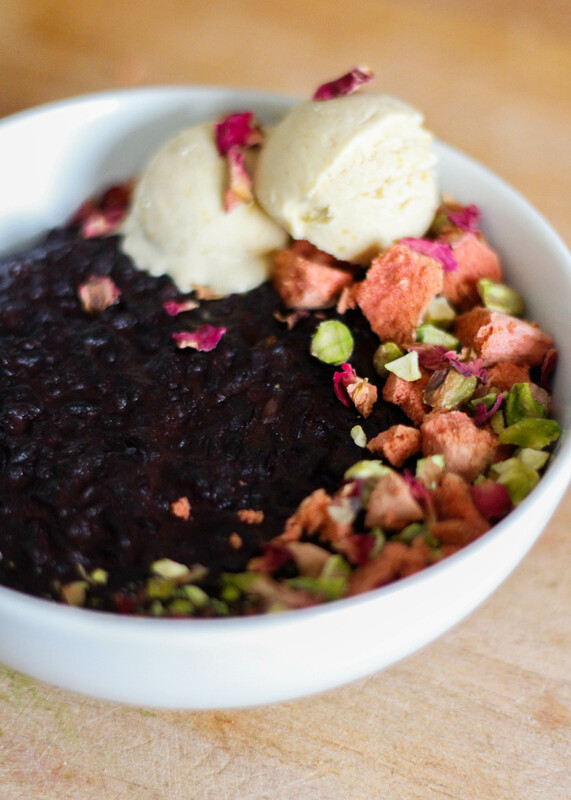 As an adult, I didn’t have much desire for the sticky, sweet, glutinous dessert either… I mean really, Sticky Rice Pudding is never going to be the most appealing item on a menu, is it? It was the colour that got me. 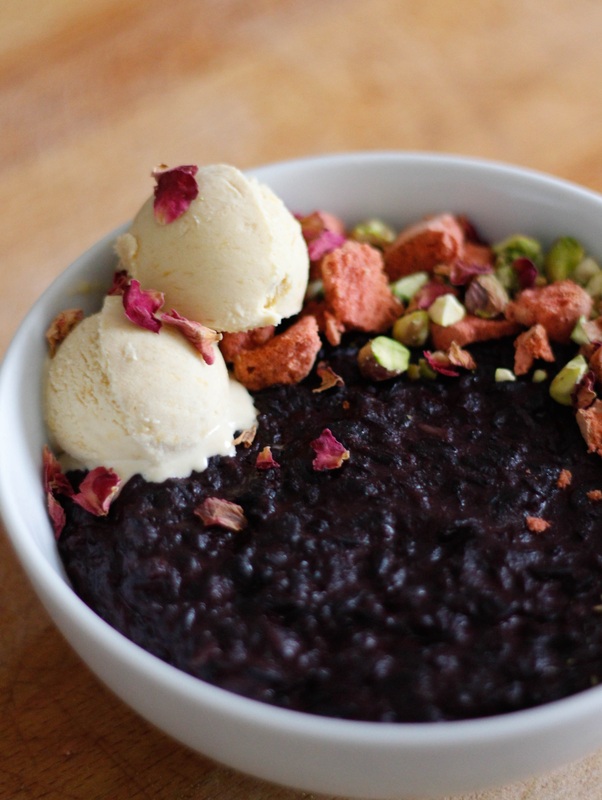 I don’t know why, but it seems there is something incredibly appealing… or rather, inspiring, about black coloured food. The rice on its own is not particularly appetizing, but present the dish right and it’s a sure winner! Focus on vibrant colours and a rustic appearance. The striking colour of the rice is eye-catching enough, it just needs a little contrast to liven it up! 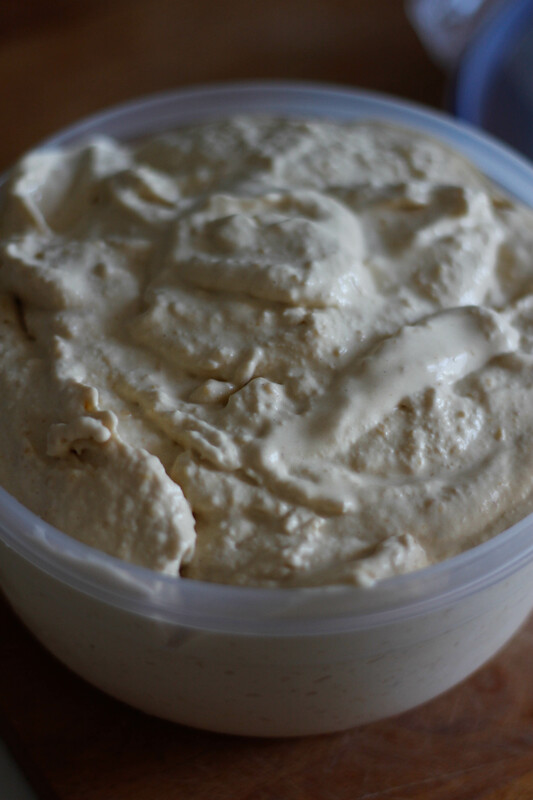 The version we had growing up was white and made with cows milk, I’m sure most of you have tried this version before? 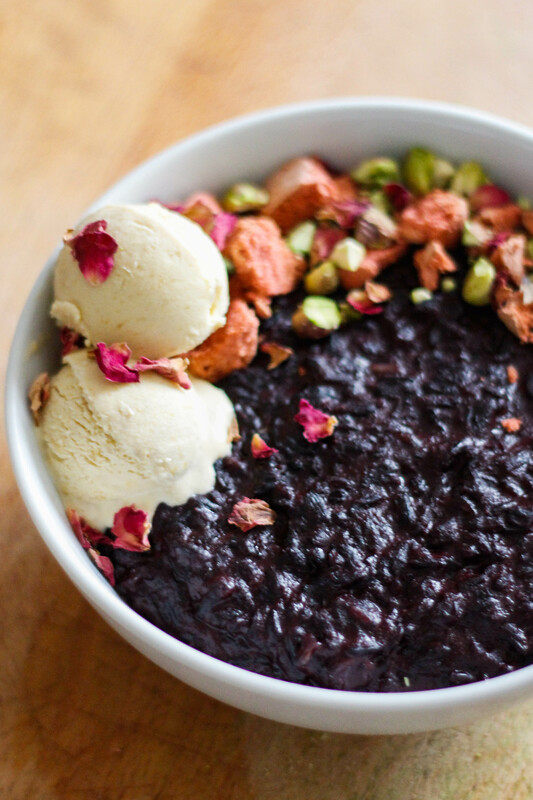 Sweet rice… seems rather boring. But it really is better than it sounds, isn’t it? 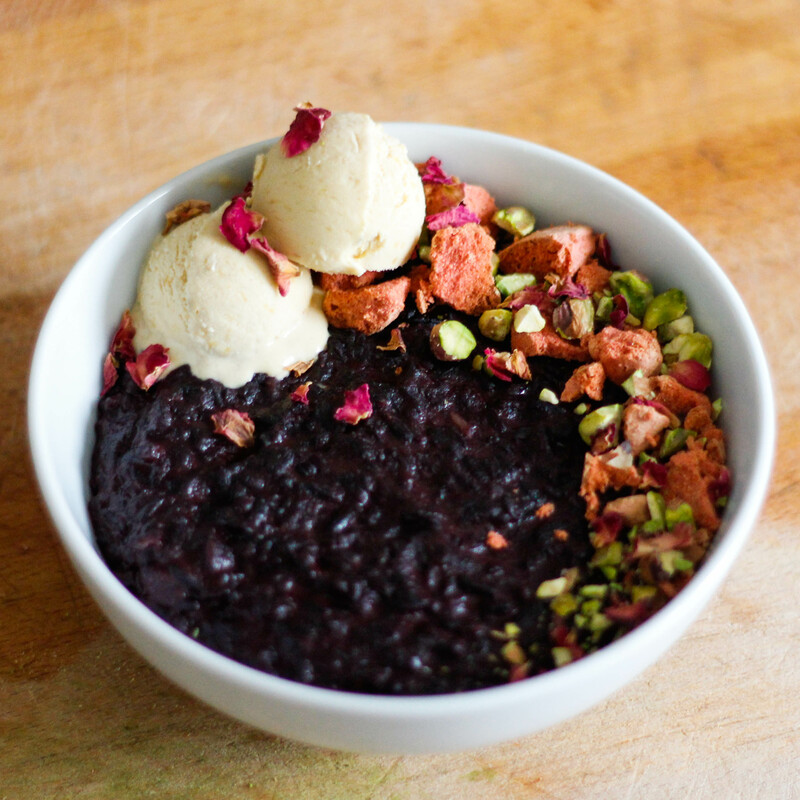 Made with coconut milk, it is dairy free as well as gluten free! So it’s a pretty safe dessert for a dinner party. Oh, and it’s also delicious. Tip: if you can’t find creamed coconut, replace this and the 1 cup of boiling water with 250ml coconut cream. 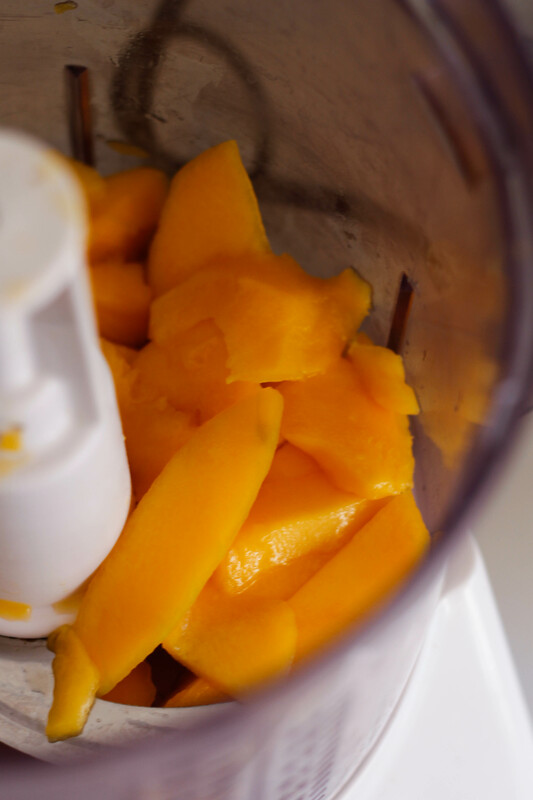 Place the mango in a food processor and pulse until you have a smooth purée, then set aside. 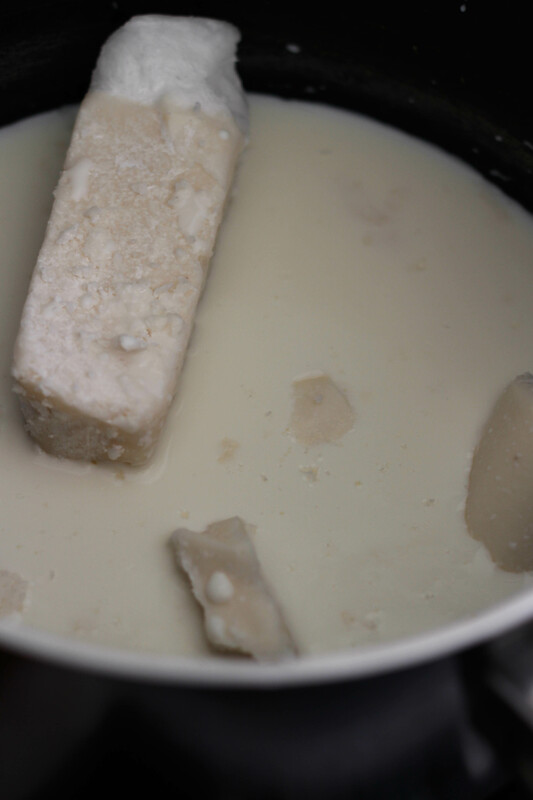 Place the creamed coconut, water, milk and cream in a saucepan and heat gently until the coconut has melted. 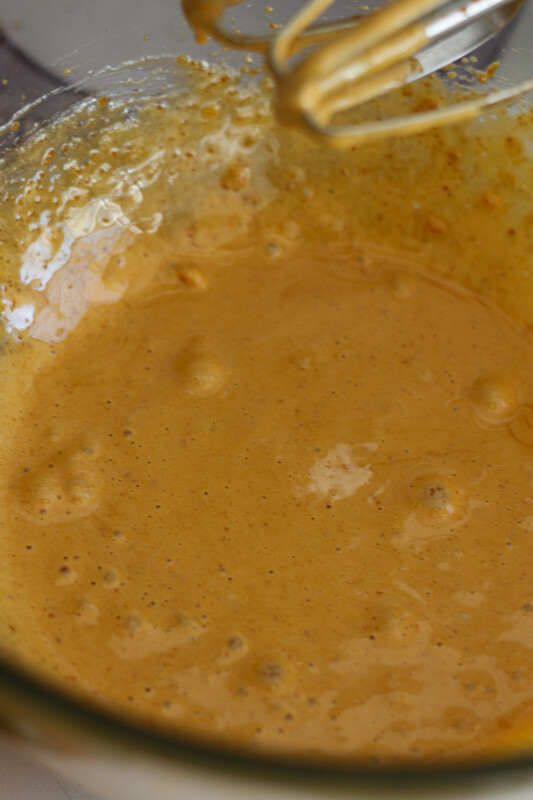 Stir over the heat until the mixture starts to bubble lightly, then turn off the heat and leave to rest for 1 -2 minutes. 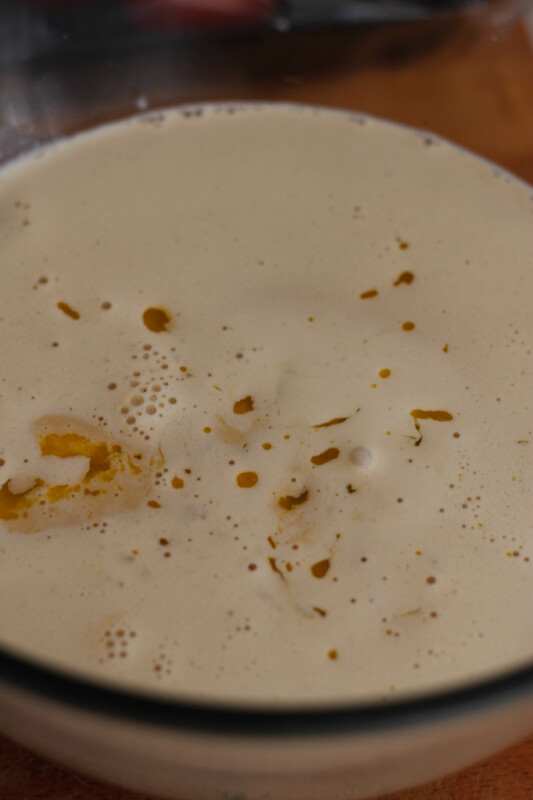 Beat the eggs and sugar until pale and creamy, then pour the warm milk mixture onto the eggs and whisk to combine. 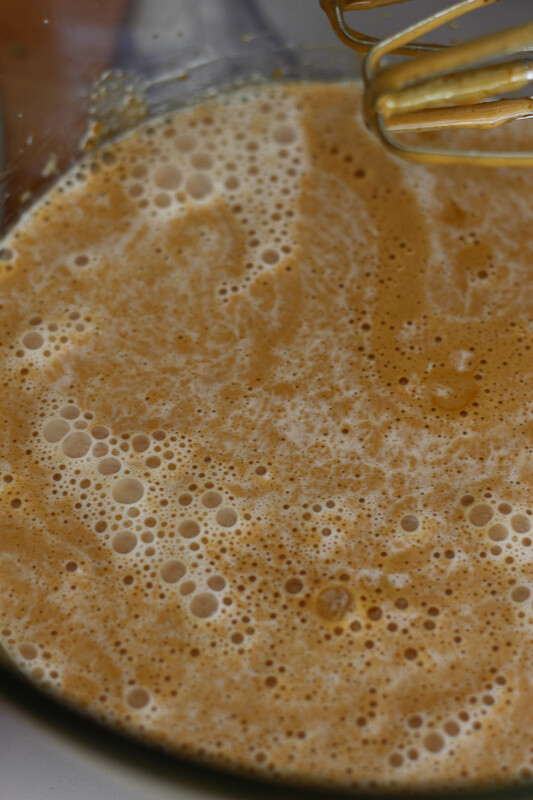 Place the mixture back over the heat, keeping it very low and stirring continuously until the mixture begins to thicken. Tip: heat gently so that the eggs don’t curdle. 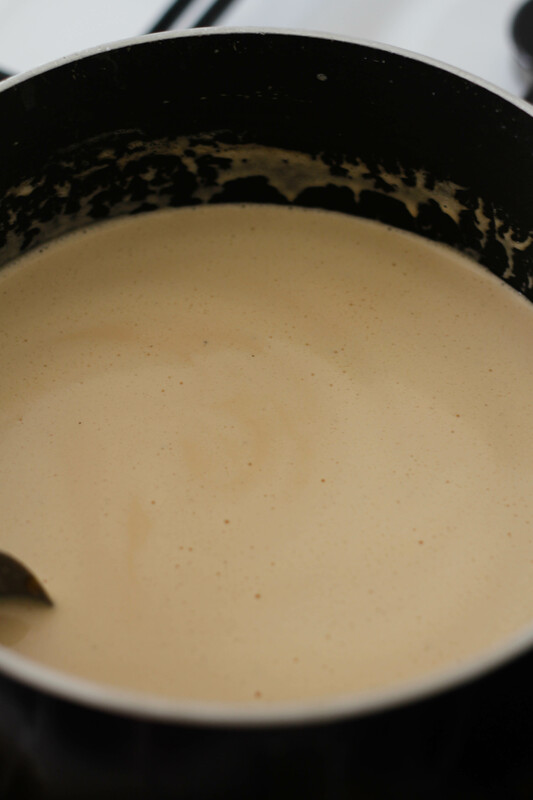 The mixture should thicken to a thin, creamy custard consistency. 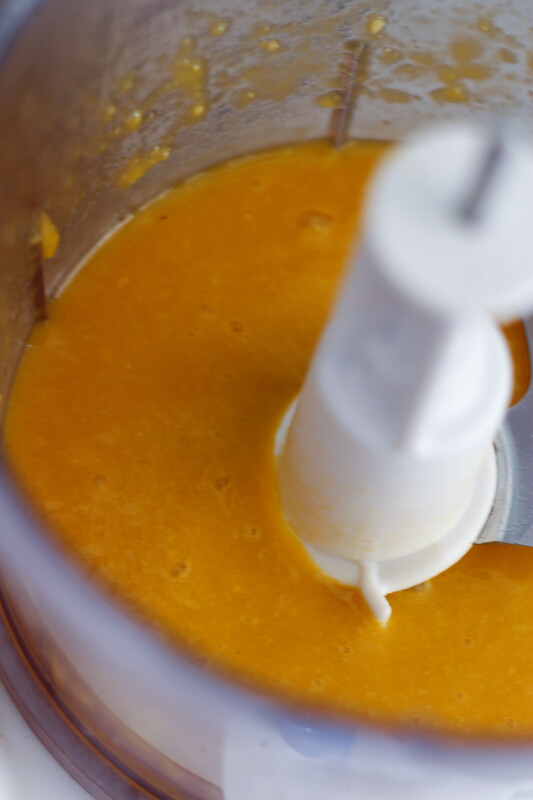 Pour the mixture through a sieve, then leave to cool slightly before adding the mango. 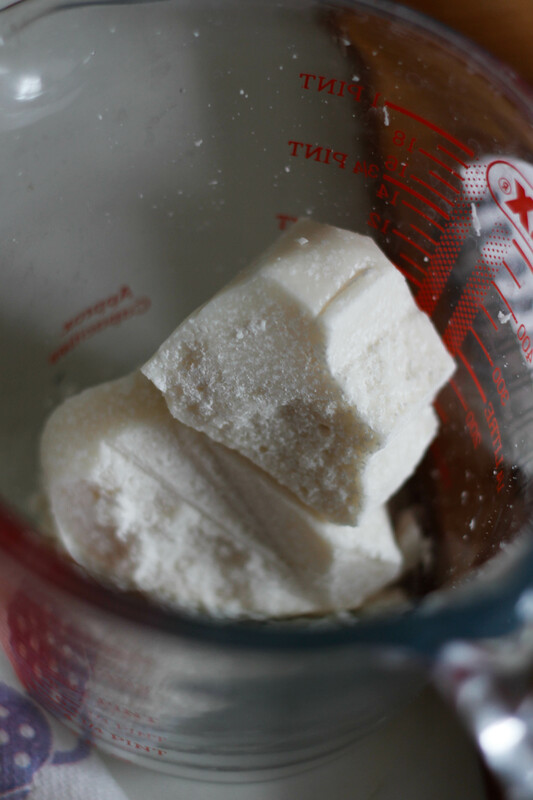 Once cool, place the mixture in the freezer to set, removing it every 30 – 45 minutes and beating with an electric mixer to break up the frozen pieces. When the ice cream is almost frozen pour it into an air tight container, then place it back in the freezer to finish setting. 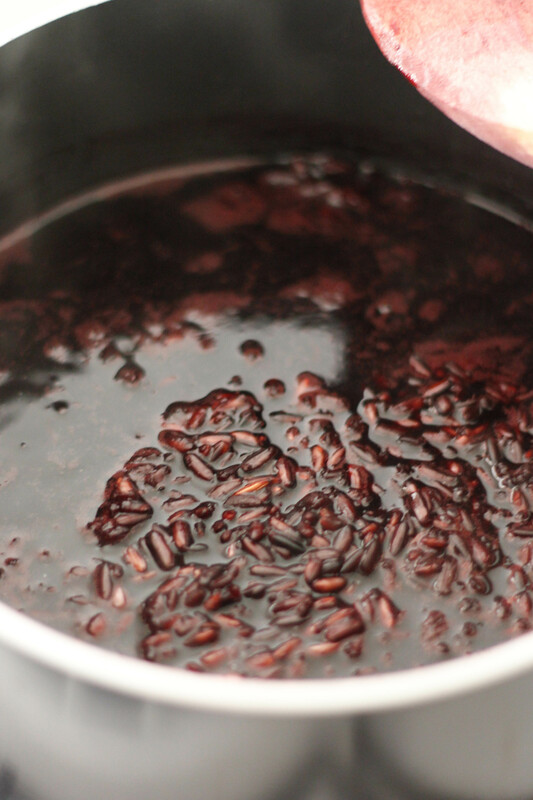 Place the rice and 3 cups water into a saucepan and simmer for 45 minute, adding an extra 1/2 cup if it begins to dry out. 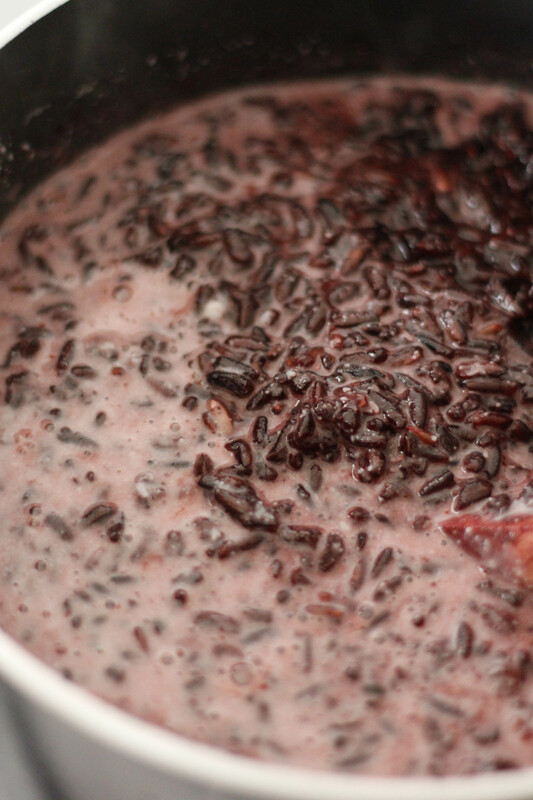 Combine the creamed coconut and 1 cup of boiling water, stirring until the coconut has melted. Add the coconut to the rice, then stir in the sugar. 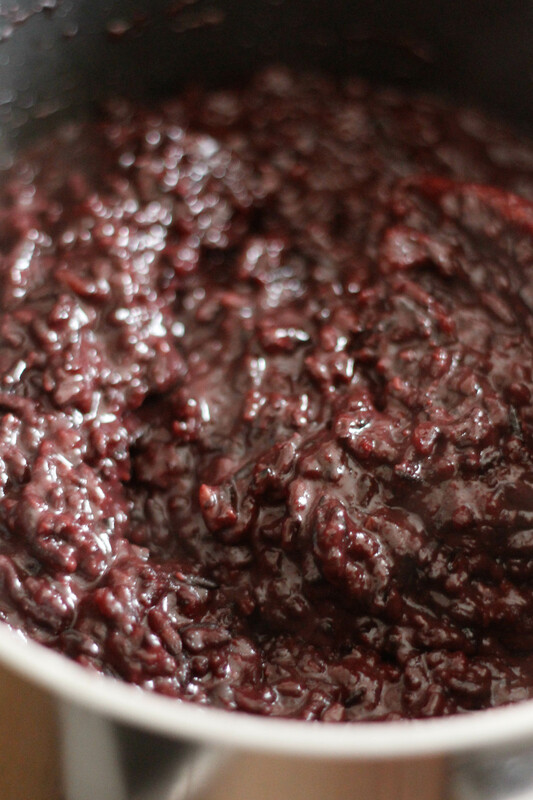 Continue to simmer until the rice is tender and the liquid has thickened. Leave to cool, then refrigerate until ready to use. 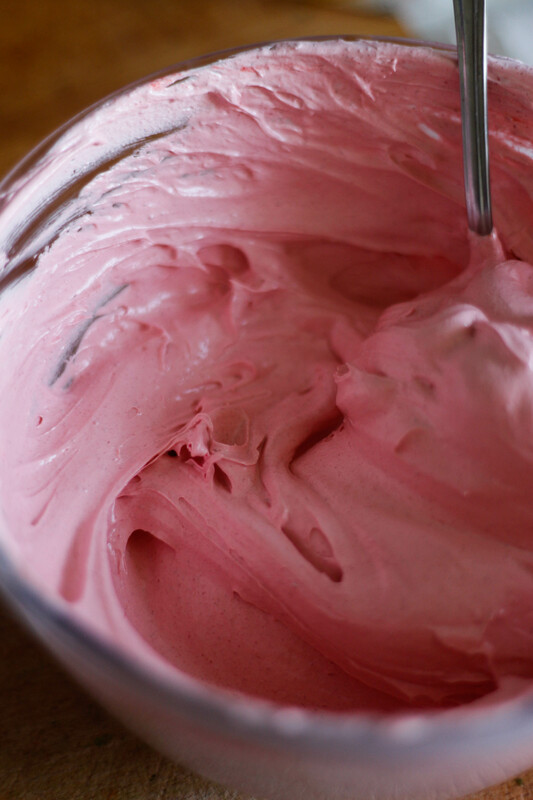 Beat the egg whites to soft peaks then add the sugar a little at a time, continuing to beat until the egg whites are stiff. 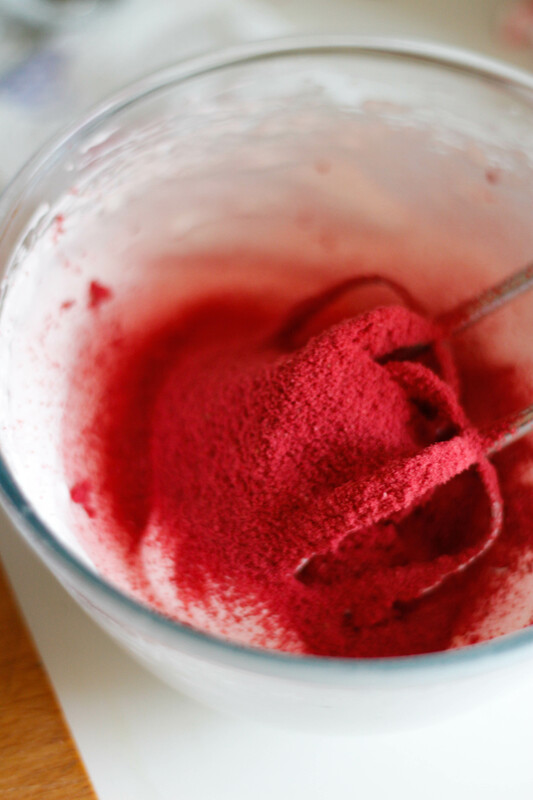 Add the freeze-dried raspberry powder and whisk to combine. 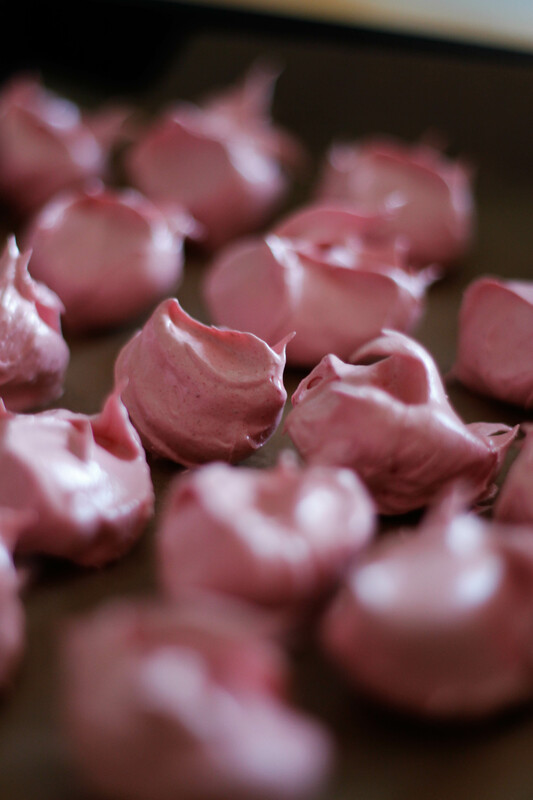 Drop teaspoons of the meringue onto the prepared tray and bake for around 1 hour and 15 minutes, or until crisp. 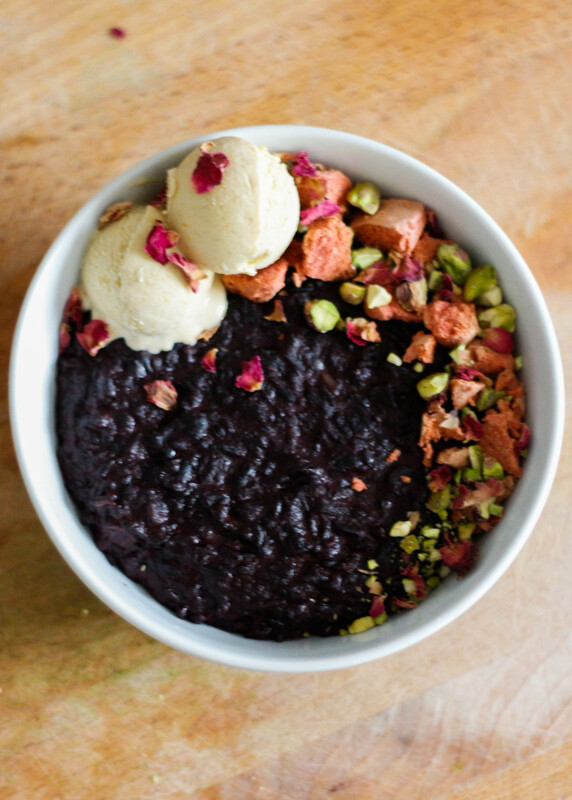 Top the rice pudding with 2 small scoops of mango coconut ice cream, a handful of chopped pistachios and crushed meringue pieces, then sprinkle with dried rose petals and serve.